Sometimes we just need a little bit of luxury in our life. When travelling, this is the perfect time to indulge. No need to worry about lumpy beds, drunken bunkmates stumbling into the room in the middle of the night, or dodge looking hotels. Treat yourself to a relaxing holiday getaway. 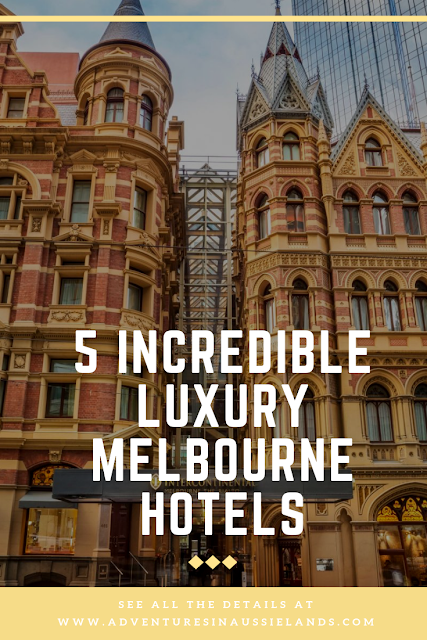 When travelling to Melbourne, here are some of our favourite luxury hotels. They're so lovely you'll want to spend your entire trip relaxing indoors. Located in the heart of one of the best shopping streets in Melbourne, the Grand Hyatt will help anyone achieve the boujee holiday they crave. 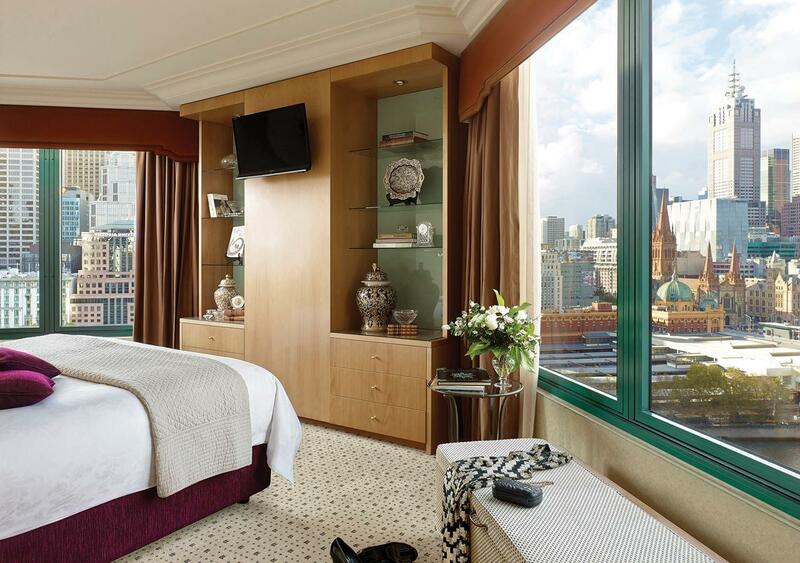 For some of the most epic views of Melbourne, request a room above the 20th floor. The Grand Club Lounge allows panoramic views of the city skyline. With a kitchen, bar, and fitness centre open 24/7, there's a little something for everyone at the Grand Hyatt! Situated on Collins Street, close to Parliment Station, Sofitel Hotel is another incredible lux hotel that will leave you relaxed and never wanting to leave. The floor to ceiling windows offers incredible city views. 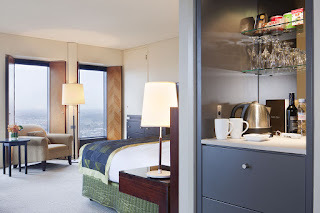 Sofitel Hotel is located to many Melbourne must-see attractions and world-class dining. Pro tip: If you're on a budget but still want to see the impressive views of the Sofitel Hotel, go to the loo on the 35th floor. This public toilet allows for some of the most incredible, free views of the city! Situated on the opposite side of the Yarra River, the Langham Hotel is near the hustle and bustle of the Southbank Promenade. The views are to die for at the Langham! Even the pool has spectacular views of the city! 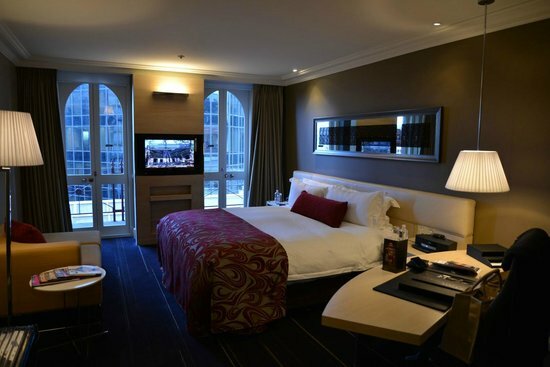 You'll be situated close to Crown Casino so you'll never have to worry about missing out on an adventure. What's better than being right next door to the Crown? Actually staying in the Crown! 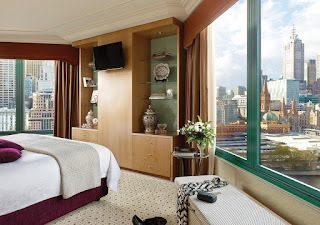 Almost every single room has stellar views of the Yarra River and city skyline. Get treated like royalty with the many amenities Crown Towers has to offer. Treat yourself to a spa day, workout at their top-notch gym, or go gamble in the Casino and pretend like you're in Vegas. Either way, your stay will be memorable. With luxury hotels all around the world, incredible deals and perks for their hotel ambassadors, and high-quality customer service, what isn't to love about the InterContinental Melbourne? The beautiful facade of the building is a beautiful welcome to the luxurious stay you will have. The location is absolutely perfect! You're close to trams, trains, access to the airport, and incredible food and shopping. Everything about your stay will scream luxury! 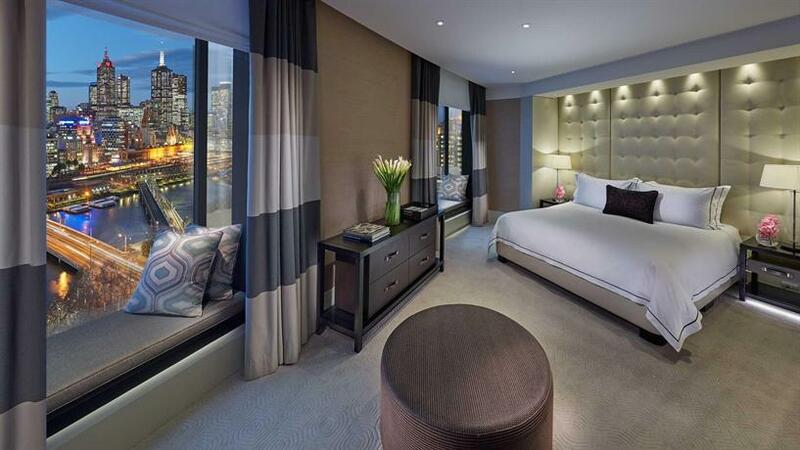 If you were staying in Melbourne, which one of these luxury hotels would you choose? Have you ever stayed in one of the hotels listed? What was your experience like? Oh wow, all of these hotels look amazing. I would be happy to stay at any of them. I think I'd go for The Grand Hyatt first! Visiting Melbourne is on my bucket list, so any of these hotels would be amazing! I'd prefer one with a pool and a great view, so I think I'd have to go with the Langham when I do visit! I've never been to Melbourne before. I agree when I travel, I like to spurge a little on nice accommodations. Any of these luxury hotels look amazing, but the river views looks beautiful from the Crown Towers. I always try out for either Hyatt or Marriott whenever I go anywhere. But Hyatt in Melbourne is prwferapre to me. It is so hard to choose! All five looks incredible and I have always dreamt of visiting Melbourne! I think either Hyatt or the langham! Oh wow. It's hard to pick one. But I'll go for Grand Hyatt because it has a fantastic view! Wow! These hotels all look amazing! It would be hard to choose just one! Seems like you can't go wrong with any of these luxury choices!! If I had to, The Grand Hyatt! I have always wanted to go to Australia and hit up Melbourne! It's definitely on my bucketlist. The Langham looks totally my style. But honestly these all look like incredible places to stay. Those hotels ALL look so amazing! Australia is definitely one of my bucket list travel destinations! Great recommendations! I've been to Sofitel Hotel in our country. If Melbourne's Sofitel Hotel is managed by the same brand, I'm sure this is a winner. Australia is definitely on my bucket list, and I appreciate these suggestions. My goal is to scuba dive the great barrier reef next year! These places look gorgeous! One of my favorite things about going on trips is staying in cool hotels. It's just a different way of life for a short time, it's fun! My kids love hotel breakfasts and going to the pool. We make lots of memories! What a list! All the hotels seems very clean and luxurious. I would love to visit in crown tower because of its furniture and color scheme. I really like the Crown Towers. It seems like it would be my hotel of choice. I love the view and it just looks like a nice, relaxing place to stay.